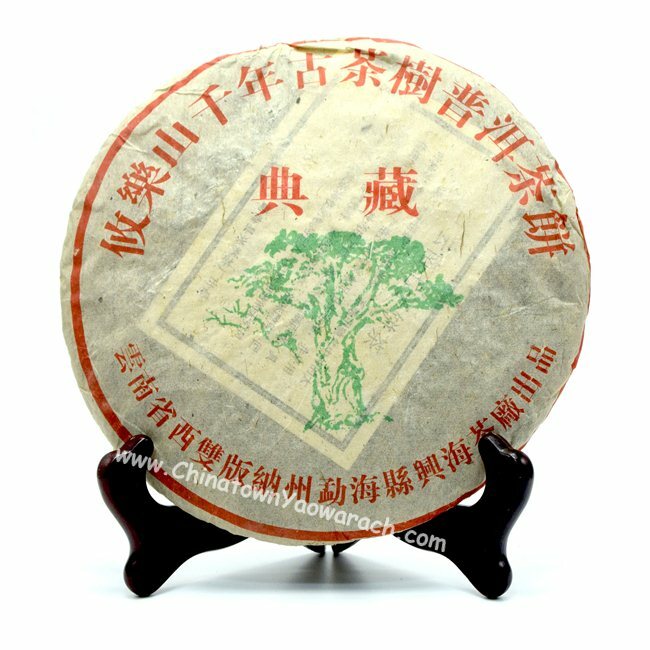 Dian Cang Shu Cake Tea is produced by Xinghai Tea factory in Menghai, Xishuangbanna, an autonomous prefecture in Yunnnan. It’s a ripe tea in tight twist shape with slight white hair. The tea is very clear and mellow, with a long lasting fragrance. Age: 10 years.